The International Committee on Seafarers' Welfare (ICSW) and the International Seafarers' Assistance Network (ISAN) have formally agreed to merge. The members of the ICSW met in London on 27 November and voted for the merger and for a change of name for the new merged organisation. The new organisation will be called the International Seafarers' Welfare and Assistance Network (ISWAN) and will be formally launched in early 2013. ISWAN will harness the strength of both organisations to provide a stronger, more unified and cohesive voice to speak up on the international stage when seafarers' welfare is debated. ICSW brings the benefits of its membership structure involving employers, unions, and welfare providers while ISAN brings its experience of day to day problems faced by seafarers. The new organisation will incorporate the 24 hour helpline for seafarers, Seafarerhelp, plus the projects from the ICSW including the The International Seafarers Welfare Awards, promotion of the MLC, health information for seafarers, and training for ship welfare visitors. The new body will be a membership organisation. The new organisation will advocate for the development of seafarer welfare boards nationally and at port level as well as pressing for more funding for welfare facilities and services in ports. ISWAN will also be looking at greater access by seafarers to internet while at sea and in port, using port levies for seafarers welfare, health promotion for seafarers, and other initiatives that will benefit seafarers. The new organisation is supported by the International Shipping Federation, the International Transport Workers' Federation, and the International Christian Maritime Association. Every year on Remembrance Sunday, as the nation remembers its war dead at the Cenotaph and at war memorials around the country, the Merchant Navy holds its own service of remembrance at the Merchant Navy Memorial at Tower Hill. 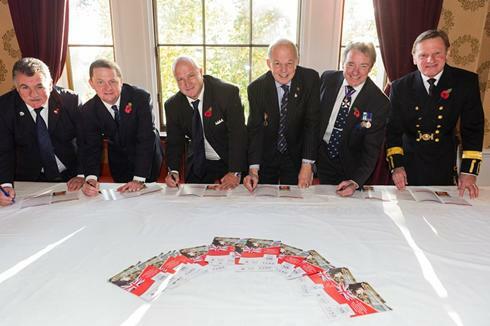 Following this years’ service, Trinity House hosted the launch of the Merchant Navy Fund, the latest collaborative initiative between the Merchant Navy Welfare Board and Seafarers UK. Both organisations recognise that many of those with a Merchant Navy background increasingly want to see their donations and legacies used specifically in support of British Merchant Navy seafarers and their families. Until now there has never been a Fund solely for this purpose. All the money raised will therefore be used exclusively to help finance those charities supporting British Merchant Navy seafarers and their families. To download the Seafarers UK press release on the launch of the Merchant Navy Fund please click here. For further details of the Fund and how to contribute please go to the fund’s own website www.merchantnavyfund.org. visit the Milford Haven Waterway on a Maritime Experience Day. 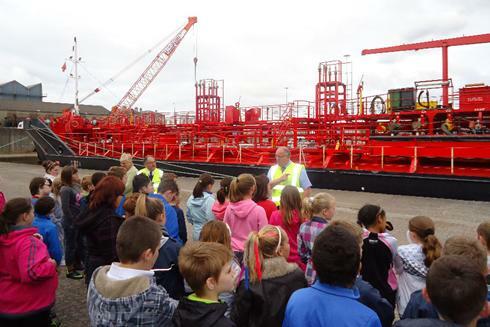 Thanks to the cooperation of the local maritime community, the children were given an insight into the workings of a port and the important role seafarers’ play in all our lives. To see a full report on the children’s day written by Hugh Michael, local SCFS Port Chaplain, please click here. The Gibraltar Port Welfare Committee (PWC) has become the first of the Board’s Port Welfare Committees to commission its own website. 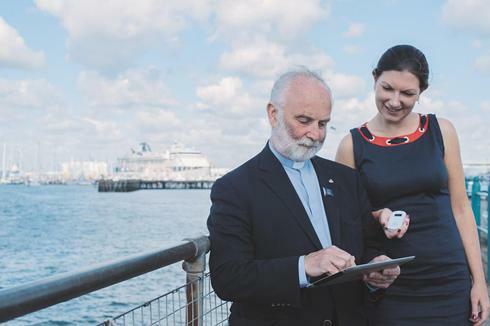 Local PWC member and Mediterranean Mission to Seafarers Port Chaplain, Revd. Andrew Jacobson designed and produced the new website. The website tells visitors about the role of the Gibraltar PWC as well as providing seafarers with contact information for Port Chaplains and Ship Visitors. It also provides information on welfare facilities in Gibraltar and links to other maritime and welfare related websites. Susan Newcombe, the Board’s Port Welfare Committee Manager for Gibraltar commented: “it’s a great idea that I hope other PWCs will consider following”. To view the new Gibraltar Port Welfare Committee website please click here. 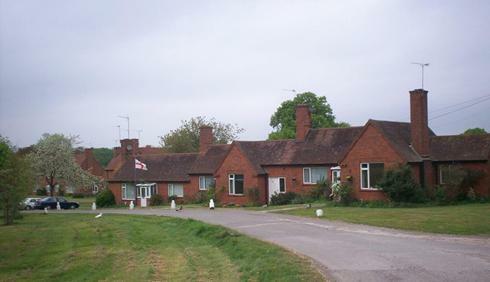 SSAFA Kent recently invited the Board to attend one of their Caseworker training days as a guest speaker and give a presentation on the work of the Board. This training day took place at Aylesford Priory on 25th October and was attended by approximately 50 Caseworkers, as well as other guest speakers from a variety of organisations. Peter Tomlin, Deputy Chief Executive and Sally Oliver, Welfare Support Manager attended on behalf of the Board and gave presentations on how the Board’s Welfare Department operates on a daily basis. It also enabled the Board to brief the Caseworkers on the Seafarer Support Referral Helpline and the new online interactive Maritime Charities Welfare Guide. Feedback on the visit was extremely positive. Neil Payne, Branch Secretary commented: “the presentation went down very well and was appreciated by all Branch Office Holders, Divisional Office Holders and most importantly the Caseworkers who carry out your casework”. SSAFA Caseworkers often visit Merchant Navy seafarers in their own homes on the Board’s behalf and their contribution to the maritime charity welfare sector continues to be invaluable. 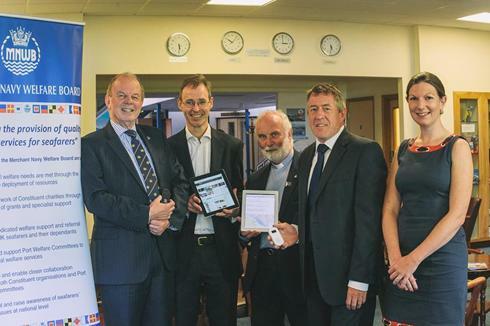 The Merchant Navy Welfare Board and Three UK have partnered to provide Seafarers with over half a million free Megabytes of mobile internet to seafarers visiting UK ports. A full list of accommodation providers for seafarers’ and /or their dependents’ is now viewable on the Welfare area of the website. To view the page click here. Captain David Parsons, Chief Executive of the Merchant Navy Welfare Board was delighted to attend this year’s National Armed Forces Day celebrations in Plymouth on 30th June, to promote the work of the Board and constituent members. The 30th Anniversary of the Falklands Conflict, raised the profile of the Merchant Navy at this year's Armed Forces day celebrations, with a march by veterans and cadets. Displays included a steam past by HMS Argyll (a type-23 Royal Navy frigate) with a 21 gun salute and RFA Mounts Bay; the Royal Navy, Army and Royal Air Force bands who marched through the city followed by an evening of entertainment. The Merchant Navy Welfare Board hosted its two day Seafarers’ Welfare Conference at The Dolphin Hotel in Southampton on 26th and 27th June 2012, for delegates from 45 maritime organisations and the Board’s 16 Port Welfare Committees, including Gibraltar. In his opening address to over 70 delegates, the Chairman, Mr Bob Jones, declared that the conference was “all about the seafarers and those people providing for their welfare”. Officially opened by the Lord Lieutenant of Hampshire, Dame Mary Fagan DCVO JP, the Conference provided delegates with an overview of Seafarers’ Welfare past and present, as well as the potential shape of the sector in the future. Presentations included: engaging with social media; fundraising; provision of seafarers’ accommodation; financial and practical support to individual seafarers; humanitarian response to piracy; and presentations from those working at the frontline of seafarers’ welfare. During the conference dinner Captain Ian McNaught, Deputy Master of Trinity House, told the audience about the work of his organisation and included some anecdotes about his former role as the last master of “Queen Elizabeth II” cruise vessel. Later Mrs Penny Philips, Chairman of the Falmouth Mission to Seafarers, was presented with the MNWB’s prestigious Annual Award for Seafarer’s Welfare in recognition of her work in establishing and supporting the local Flying Angel mission in the port. In his closing address Captain David Parsons, the Chief executive, praised the passion and care for seafarers’ welfare that was the driving force that motivated all those involved in this important sector. He went on to advocate ever closer collaboration and partnership working between organisations. The Right Worshipful the Mayor of Southampton, Councillor Derek Burke officially closed the event declaring his delight that MNWB had chosen to hold their conference in the maritime city of Southampton and was enthused by the dedication shown in supporting seafarers. It was all smiles when Peter Tomlin, Deputy Chief Executive of the Merchant Navy Welfare Board (MNWB) and Alan Pich, Software Developer, Sequel Group collected their Institute of Internal Communications ‘Award of Excellence’ and ‘Best in Class’ trophy from TV Presenter Fiona Phillips at a recent (15th June) Gala Dinner in the London Hilton Park Lane. The awards recognised the success of ‘Seafarer Support,’ an innovative project consisting of a user friendly website, online Maritime Charities Welfare Guide and ‘Freephone helpline, designed specifically to help seafarers and their dependents find assistance from the UK maritime charity sector in times of need. There are around 150 charities serving the maritime sector in the UK providing a wide range of important welfare services to seafarers from the Royal Navy, Merchant Navy and fishing fleets, and their dependants. Many also support international seafarers visiting UK ports. Seafarer Support acts as the referral service for the entire maritime charity sector and was created in response to research that found that seafarers are more likely to face poverty, homelessness, bereavement, loneliness, debt and marriage breakdown than other occupational groups and are often unaware that there are charities dedicated to helping them. ‘It was good to be put forward for an award but to win out of a shortlist of entries from HSBC, Barclays and Royal Mail was something special. 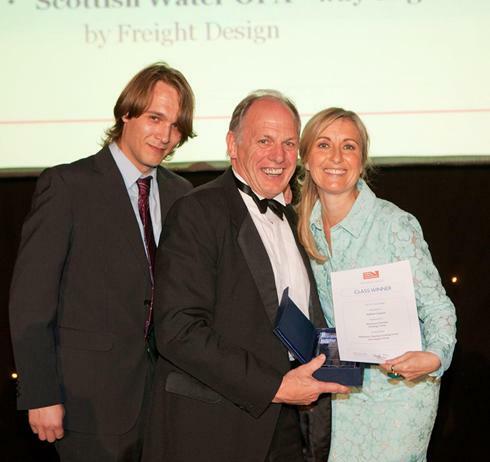 The award recognises the work of all the team at MNWB and Sequel Group but, most importantly, raises the profile of the maritime charities and helps us reach even more seafarers and their families’ said Project Manager, Peter Tomlin. Seafarer Support is funded by the Maritime Charities Funding Group (MCFG), a partnership of seven maritime charities; Merchant Navy Welfare Board, ITF Seafarers Trust, Nautilus Welfare Funds, Royal Navy and Royal Marines Charity, Seafarers UK, Seaman’s Hospital Society and Trinity House. The group are working together to deliver a range of welfare projects across the UK maritime sector. The Seafarer Support Helpline is available between 9.30 - 4.30 Monday to Friday on 0800 121 4765. Personnel can also access help through the Internet at: www.seafarersupport.org and use the interactive Maritime Charities Welfare Guide. MNWB Port Welfare Committee Manager Carolyn Lewis successfully completed the Brighton Marathon on Sunday 15th April, to raise funds for seafarers’ visiting UK ports. Setting off from Preston Park at 09:30 on Sunday morning to commence her 26.2 mile journey, Carolyn said that her marathon strategy was to break down the miles into smaller sections; eat plenty; drink plenty and keep smiling! The route took the runners through Hove, Worthing and Shoreham before heading back to Brighton to the finish line just beyond Brighton Pier. Carolyn added: “The spectators were amazing! The course went through a number of residential streets where residents had set up street party’s and were handing out sweets, playing music and cheering everyone on – the atmosphere was electric! Each unit costs £100 and includes a pre-paid monthly data allowance for 12 -18 months and most importantly enables up to 5 Wi-Fi enabled devices to be connected at any one time; creating a small Wi-Fi hub on-board. Click here to support Carolyn in her quest to keep seafarers’ and their families connected! 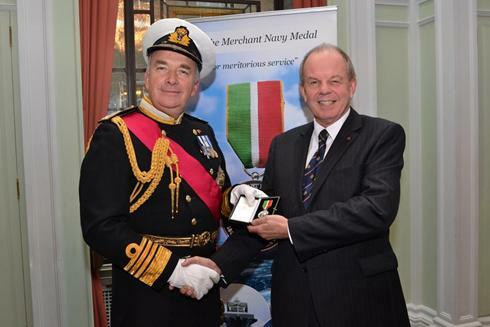 The Board was extremely proud of Captain Parsons, MNWB’s CEO and former MNWB Chairman, Captain Crooka ll, who were both awarded the Merchant Navy Medal at a ceremony held on 28th November 2011 at the prestigious Trinity House London. 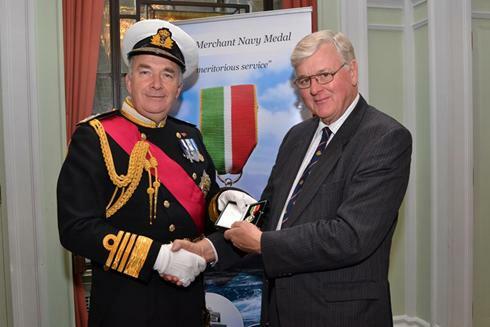 Lord West of Spithead presented the medals to 20 recipients selected by the Merchant Navy Medal Committee. The awards recognise the meritorious service of seafarers who are judged to have made a worthwhile contribution to merchant shipping, its operations, development, personnel, welfare or safety, or who have performed an act of courage afloat. Both Captain Parsons and Captain Crookall received their awards for services to merchant shipping and maritime charities. Tom Crookall served at Sea with Blue Star Line and later became General Manager of Blue Star Ship Management. He joined the MNWB as Trustee in 1988 and chaired the Board for eight years before retiring in 2011. He says that he was delighted to have been involved with the Board during a period in which it was able to significantly raise its level of activity among the maritime charities. Much has, and continues to be, achieved and these awards to David and myself are an appreciation of the efforts of all who have contributed to the work of the Board. MNWB’s Chairman and CEO were delighted to attend the opening of the new drop-in centre on Monday 09th January 2012, situated on 207 berth of Southampton’s Container Terminal. The drop-in centre is equipped with computers, telephones, Wi-Fi access and a television. The new centre provides some of the 20,000 seafarers that pass through DP World’s terminal each year, the opportunity to contact their families. The Merchant Navy Welfare Board part funded the centre with Ivitta and Centres for Seafarers. After 10 years of campaigning, the Aberdeen Seafarers Centre Steering Committee was delighted to open the doors of the new Aberdeen centre in December 2011. Situated opposite the docks on 182-194 Market Street, the main reception room offers a pool table, reading corner with book/DVD exchange, coffee tables and chairs with free tea and coffee (courtesy of their sponsors Trinity House). Facilities also include a computer room with 4 computers, internet access and web cams; a TV / Cinema room with Nintendo Wii console, karaoke machine and Blu-Ray DVD player. If that wasn’t enough space, the basement has several useable rooms used for storing all the woolly hats and books! Revd Drysdale said he was delighted that Aberdeen now had a safe place to offer the thousands of seafarers that visit the port each year.